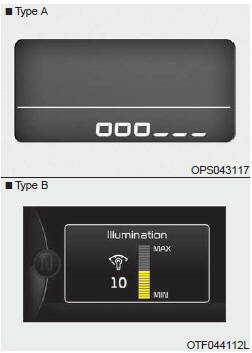 The brightness of the instrument panel illumination is changed by pressing the illumination control button ("+" or "-") when the ignition switch or Engine Start/Stop button is ON, or the tale lights are turned on. 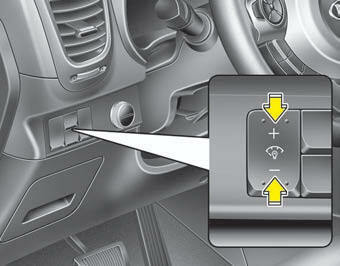 If you hold the illumination control button ("+" or "-"), the brightness will be changed continuously. If the brightness reaches to the maximum or minimum level, an alarm will sound.